A downturn in lorry registrations has caused trade bodies and associations to question the health of the road haulage industry. In a report published by the Society of Motor Manufacturers and Traders (SMMT), figures revealed a striking decline in new HGV registrations for 2017. In total, the market dropped by 2.6% across the whole year. Considered in context, the figure is stark. Following two years of robust growth, 2017 was a severe disappointment for many in road haulage. As a result, the SMMT called on the government to promote ‘business certainty’ in what is becoming an increasingly murky period for the industry. 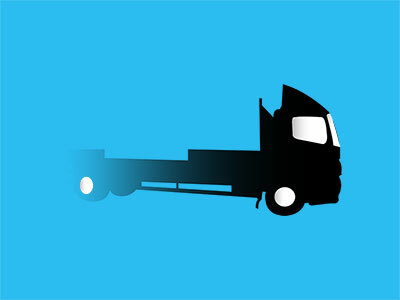 Rigid HGVs saw the worst of the decline. The overall market for rigids shrunk by 5%, from 26,882 units to 25,535. Rigids above 16-tonne GVW suffered particularly, dive-bombing by 6.7% (from 17,012 to 15,875 units). In the same fashion, rigids between 6- and 16-tonne GVW dropped 2.1% year-on-year to 9,660. 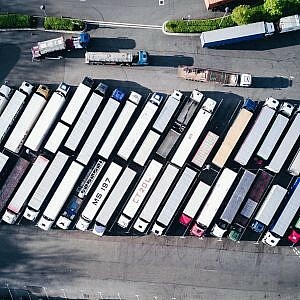 Conversely, the market for articulated vehicles remained steady. Artics finished 2017 at 19,510 units, a rise of 0.8% from the previous year. In fact, the only growing market in 2017 was the 3-axle artic, which saw an increase of 2.2% (to 17,362 units). This counterbalanced the 9.1% drop in 2-axle artics. This vehicle, preferred mainly by international haulage firms, finished the year at 2,148 units. Altogether, rigids were responsible for 56.7% of all unit sales; artics made up 43.3%. Overall, 2017 saw 45,045 units newly registered, a drop from 46,231 in 2016. Interestingly, the final quarter was down 9.5% year-on-year to 12,271 units, compared to 13,555 in the final quarter of 2016. For the disappointing figures, the SMMT blames a decline in ‘operator confidence’. To many, this will not come as a surprise. With the much-publicized introduction of Earned Recognition, fines for historic drivers’ hours offences and the recently-released HGV tax figures, operators are increasingly ambivalent about the future. The prospect of buying a new truck (or several), as a result, is becoming less and less attractive.